This is a new (Mojave) version of a question posted two years ago here. 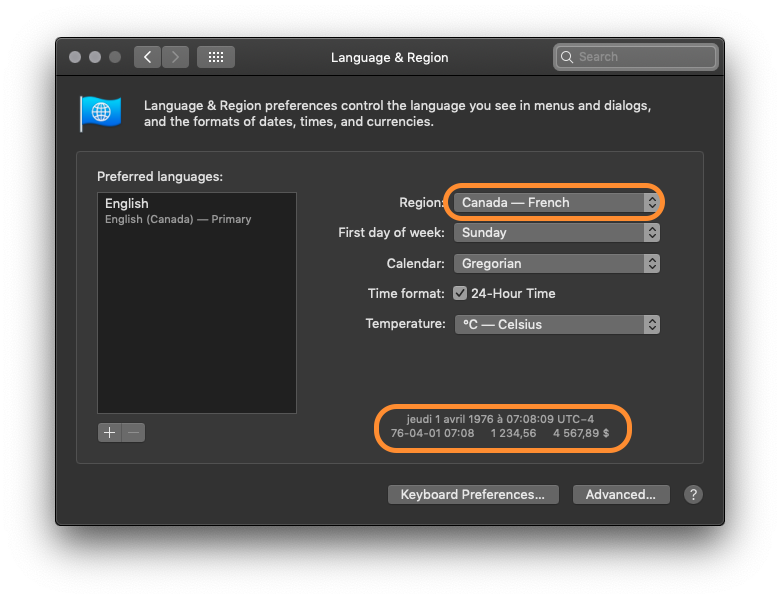 Being a French speaking bilingual Canadian, I have always had my macOS computers configured in English (because I prefer using computer systems in English) with a French Canadian Locale (number formatting, time/date, month/day names etc...). 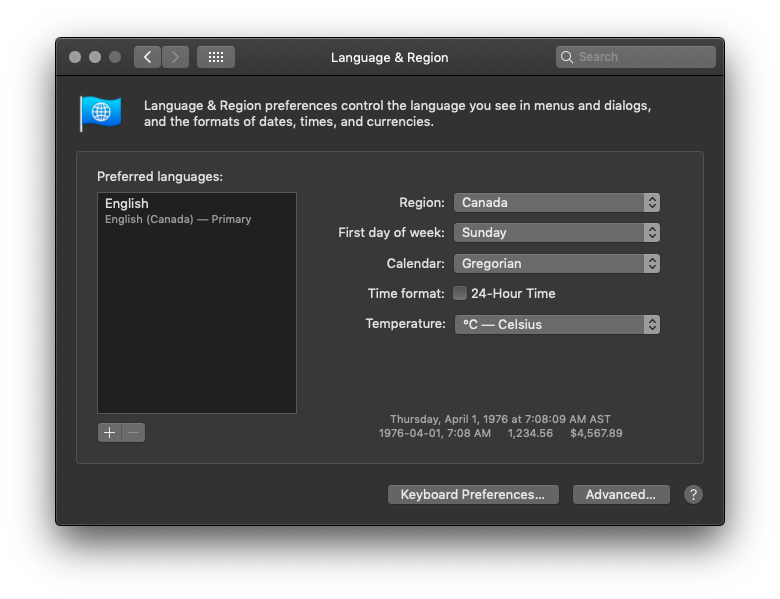 With earlier versions of OS X (until El Cap), this was a user-configurable setting in the Language and Region preference pane. Then came Mojave... 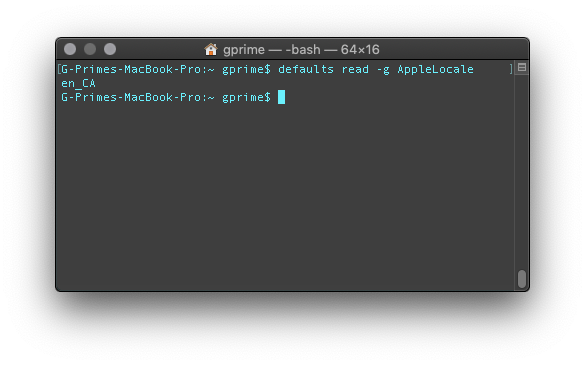 I am now running a clean installation - not an upgrade - of Mojave (10.14 18A391) and setting the AppleLocale with the defaults command works but the pref doesn't seem to get applied anywhere. 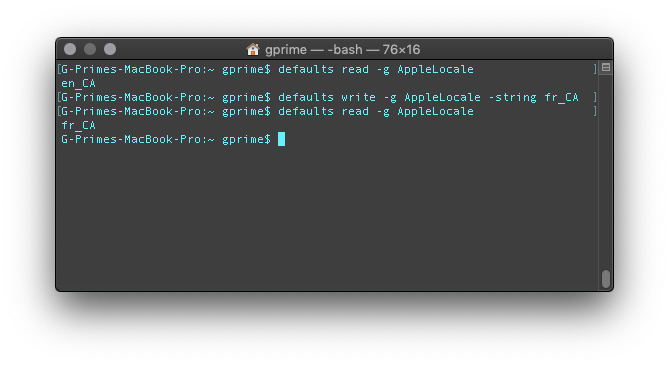 Would anybody know if Apple has changed the way Locales are being used in Mojave, or if this is simply a bug? Browse other questions tagged system-prefs internationalization mojave .